Go to Why do people work at my company? Design exists to improve people’s lives. It is also an engine of innovation, differentiation, profitability and growth for companies when they are implemented in their business strategies. The European Union has been systematically working since 2010 on design’s capacity to create value and contribute to competitiveness, prosperity and wellbeing in Europe. In Spain, the situation was not clear. Until now. Spanish design is reclaiming a place in state politics through a national design strategy. For the first time in the history of this country, the Congreso de los Diputados has held a parliamentary conference called “Spanish design in the 21st century: challenges and strategies”, where more than 200 distinguished professionals from the sector have been convened to draw attention to design’s current situation and the challenges it faces. This initiative was organised by the Socialist Parliamentary Group in collaboration with RED (Asociación de Empresas Españolas del Diseño - Association of Spanish Design Companies), READ (Red Española de Asociaciones de Diseño - Spanish Network of Design Associations) and other private and educational organisations to support the presentation of a Non-Law Proposal, focusing on ten points. Among them, it urges the Ministry of Economy, Industry and Competitiveness to incorporate the design sector in the State Plan for Scientific and Technical Research and Innovation 2017-2020, clearly defining its position in the science, technology and innovation system and its contribution to the innovation of products and processes, in collaboration with a combination of organisations from the sector. 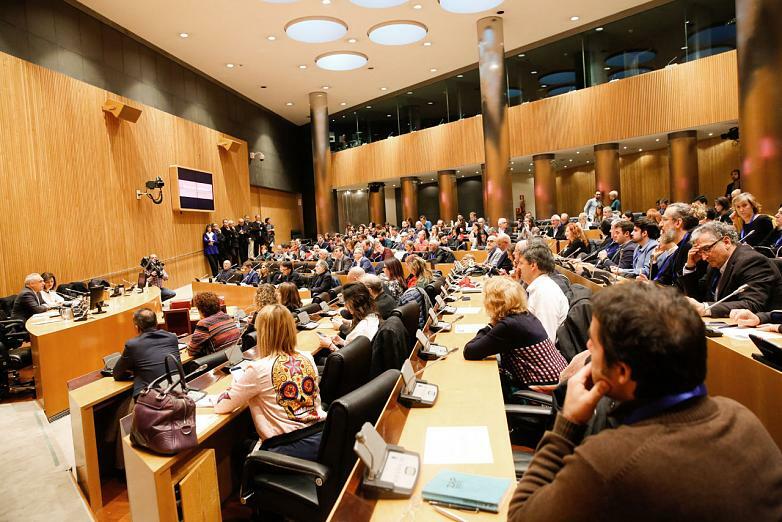 This proposal will be debated in the Commission of Economy, Industry and Competitiveness. The conference was structured into two round-table discussions; the first focused on the challenges of design and the second on the strategies. 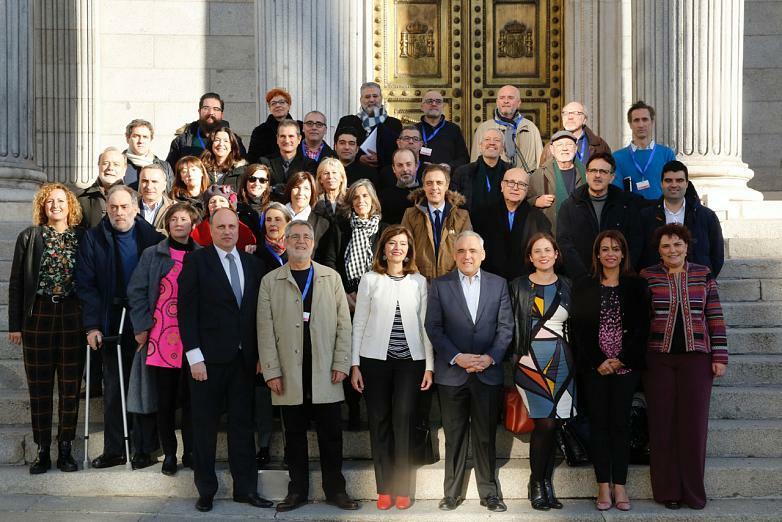 A healthy number of Spanish design experts participated in the event. Moderated by the journalist and Editorial Director of the magazine Experimenta, Marcelo Leslabay, the first table included a discussion with Soledad Berbegal, Director of Strategic Communication at Actiu; Carlos San José, Director of Design Projects and Product Development at ADN Design; the graphic designer Emilio Gil, from Estudio Tau Diseño; the industrial designer Vicent Martínez; Soledad Hernández, President of the Asociación de Diseñadores de Madrid (DiMad- Madrid Association of Designers); and Pepe Cosín, representing the Colegio de Diseñadores de Interior de la Comunitat Valenciana (School of Interior Designers of the Valencian Community). Soledad Berbegal defined the design as “a transformative experience; experience because it is an event for people and transformative because it changes society. We understand design as everything, a future strategy for companies, Spanish society and our country”. She also added that “as stated in the Non-Law Proposal presented today, it is necessary to establish resources that help to identify and measure design’s impact on our country’s economy. Only in this way will we be able to find out the real effectiveness of this resource. It is essential that the Spanish State understands that encouraging development, recognition, support and funding for all those companies that invest in design is positive for them but also for the country in general and is key for generating growth”. The second table, in this case discussing strategies, was moderated by Vicente Gallega. President of READ and the discussion included Nacho Lavernia, from Lavernia & Cienfuegos; Nani Marquina, President of the Fomento de las Artes y el Diseño (FAD-Promotion of Arts and Design); Juan Mellen, Manager of RED; Sofía Rodríguez, Director of the Museo Nacional de Artes Decorativas (National Museum of Decorative Arts); Eugenio Vega, President of the CEA (Confederación de Escuelas de Artes Plásticas y Diseño – Confederation of Plastic Arts and Design Schools) and Anxo López, designer in multi-national corporate environments. Among those invited to the event, it is worth highlighting the significant sample of Valencian designers, companies and institutions that are working in design as a strategic value and were involved in the parliamentary debate; the designers Pepe Cosín, Vicent Martínez, Vicente Gallega, Nacho Lavernia and Soledad Berbegal, from the firm Actiu and the person driving the Non-Law Proposal herself, Ana Botella, Valencian diputada (member of parliament) from the socialist group. As was clearly pointed out during the conference, “Design has entered Congress… to stay”. We hope so.